Can Music be the Secret to Making Our Future Physicians Even Better? It is no secret that a large population of Stony Brook’s student body is on the track to enter a career in medicine. Not surprisingly, most of those students major in one form or another of the sciences. However, medical school admissions are becoming increasingly selective each year, seeking out well-rounded students with humanistic qualities. Changes to the Medical College Admissions Test (MCAT) by the American Association of Medical Colleges (AAMC) in 2015 will include the addition of biochemistry and two social sciences: sociology and psychology, which is a reflection of this new approach to teaching and training future physicians. Many students are likely questioning the inclusion of social sciences in the new MCAT, posing ideas such as “psychology is not going to improve the ability to diagnose a patient’s physical ailment.” While that may be true, many believe medicine over the years has been reduced to diagnosing, treating, and moving on. In a national survey study by Fenton, et. al., higher patient satisfaction was associated, in both inpatient and outpatient care when physicians were actively involved with the treatment process. . The AAMC, through its new MCAT is revamping the way that we think about medical education. The addition of biochemistry to the MCAT prepares incoming medical students further for the coursework ahead and the addition of social sciences prepares them for being more intuitive doctors. Simply testing the social sciences for understanding, however, is not sufficient to molding better doctors. One pursuit that can create a higher overall quality of new physicians is the study of music. Music has always been a medium for expressing emotions. Yet, research suggests that there are several further emotional and intellectual benefits to engaging in music. Music can alter the psychological state of those engaged and can improve interpersonal communications as well as increase understanding of others’ emotions. Moreover, recent studies show that engaging in music improves cognitive function, particularly during development . 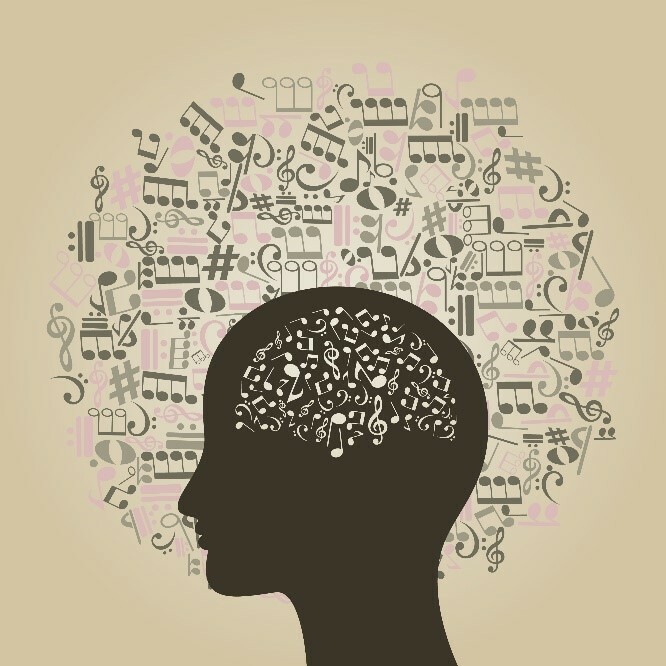 Those anticipating a future career in medicine, if they expose themselves to music, can benefit from these emotional and cognitive benefits and potentially provide a higher quality of care for their patients. Emotional intelligence is a major factor in the way that we communicate amongst each other and understanding a patient on a psychosocial level is a very important part of good bedside manner for physicians. All people (with the exception of those with inability to hear) can perceive emotion through music. The understanding on the emotional level of music could help doctors have more of a connection and understanding of the emotional state of their patients . Since studying music has been shown to amplify that ability, a doctor, or a future doctor, can benefit from studying music. Doctor Kevin Marzo, Chief of the Division of Cardiology at Winthrop University Hospital and Assistant Professor of Medicine at Stony Brook University, after longing to do so his entire life, began taking guitar lessons in 2008 and says it “opened up an entirely new world” for him and gave him a completely new perspective on the way he practices medicine. Dr. Marzo, through his interest in music, talked to many of his patients about music and found that many of them also had a passion and talent for music. He learned that music is a remarkable universal language, where melodies are words, spoken and understood by so many people around the world . There is scientific evidence that embracing music can elicit clear psychological benefits. For example, listening to a favorite piece can put the listener into a better mood and help him or her relax after a difficult day. As explained by Robert Zatorre, even humming the simplest tune can spark changes in mood and amplify auditory pattern processing as well as attention [2,4]. Yet, improving bedside manner and doctor-patient relationships through studying and/or appreciating music is not only limited to emotional benefits. Prevailing evidence from numerous recent studies shows that there are significant cognitive returns from engaging in music. Musical exposure in any form, whether it is playing music or listening to music either actively or passively stimulates nearly every part of the brain . This universal stimulation can sharpen cognitive function and has been shown to be a benefit to overall cognitive ability, development, and learning (which can be very useful for new medical students and physicians who continue to educate themselves throughout their careers) [2,5]. Listening to music, even with an untrained ear has shown significant short-term increases in cognitive ability in children and adults alike. However studying music and studying it long-term have proven to give life-long positive effects . On a general basis, IQ scores of tests administered to musicians were higher in all three categories (verbal, non-verbal, and composite) than that of those that had no prior training in music and in all categories, musicians averaged higher than non-musicians . This evidence is coupled with further research that shows that studying music from an early age has proven to have the greatest benefit to cognitive function, as compared to those with later or no exposure, including improved and retained ability throughout life [6-8]. Adults aged 40 and above who have studied music throughout their lives, beginning from childhood, have shown significant improvements in memory and executive processes. Adults who began exposure to music at a later point in their lives also had improved cognitive function over those with no experience with music, but the difference was not as significant as the one observed from studying music from early ages. This improved cognitive ability provides a higher capacity for wisdom and the ability to apply the vast amount of knowledge required by the field of medicine . Doctors must stay alert and the sharpening of cognitive ability from music can help them to do so. An overall increase in cognitive ability can be vital for the amount of information and understanding that is required from doctors throughout their education and careers. Because physicians are obligated to retain everything they learn, an increased memory can be an essential tool to improving the ease in how they practice medicine. [8,9]. Musical training has also been shown to reduce and even significantly diminish the effects of cognitive aging near the end of an adult’s lifespan. This happens because early training in music engages neuroplasticity to help strengthen and retain cognitive ability. In a study by White-Schwoch, et. al., they found that elderly adults with nominal amounts of musical training, even those who had stopped many years ago experienced marked increases in neural latency in their old age . This maintenance of mental capacity can allow future doctors to provide exemplary care and their interest in music could further improve their practice of medicine long-term. So does music actually make you smarter? Future studies of the direct benefits of music on the quality of physicians would adequately reveal a map for auxiliary education for our future doctors, giving the option of exploring music aside from the sciences. Both scientific and personal evidence show that a life of music is a life full of long term cognitive and emotional benefits. Apart from the joy that music brings to those who engage in it, it has proven to be an effective aid to cognitive and emotional function, which can apply to making the already bright futures of physicians even brighter. November 18, 2015 in Uncategorized.